An official from the Swedish Tax Agency has revealed it is drafting rules for bitcoin users and programmers that would treat bitcoins as assets. “Currencies are traditionally tied to a central bank or geographic area,” Wallin stated. Because of this distinction, Wallin said Sweden is likely to regulate bitcoin “like art or antiques”. Under the proposal, bitcoin would fall under the same asset class as antiques, copyrights, jewelry and stamps, and be subject to capital gains taxes. Wallin stated that Sweden is also considering whether to tax bitcoin miners as businesses, stating only that his agency is considering its position on the matter. The unconventional classification divided Bitcoin Talk forum commentators, with some finding it to be a level-headed approach, while others struggled to digest the comparison between bitcoin and creative works of value. Regardless, with the announcement, Sweden becomes the latest Nordic country to update the world on how it is seeking to oversee virtual currencies. On 20th January, the Bank of Finland took similar action, moving to classify bitcoin as a “commodity”, indicating that lawmakers across the Nordic region are working fast to set domestic precedents for virtual currencies. Sweden’s interpretation of bitcoin would allow its government to charge Swedish users capital gains, breaking from Germany’s decision last year to exempt alternative currency actions from such taxation. Seen in concert with past announcement, though, the proposal can be viewed as a positive for bitcoin. Just last April, Sweden warned its citizens against using bitcoin, choosing to focus its statements on bitcoin’s uses in money laundering. “If we end up with artificial or virtual currencies, there is a risk that they could slip through the cracks and that would be serious. I don’t think Bitcoins are at that stage today, but if they were to grow into a big virtual currency that’s being used a lot, that would result in risks that we don’t want,” Norman told Bloomberg. Jonathan Fors, a bitcoin researcher and Ph. D. student at Linköping University sees the announcement differently, arguing that Sweden should classify bitcoin as a “foreign currency”. “In my opinion, classifying digital currencies as assets could hinder adoption here in Sweden. 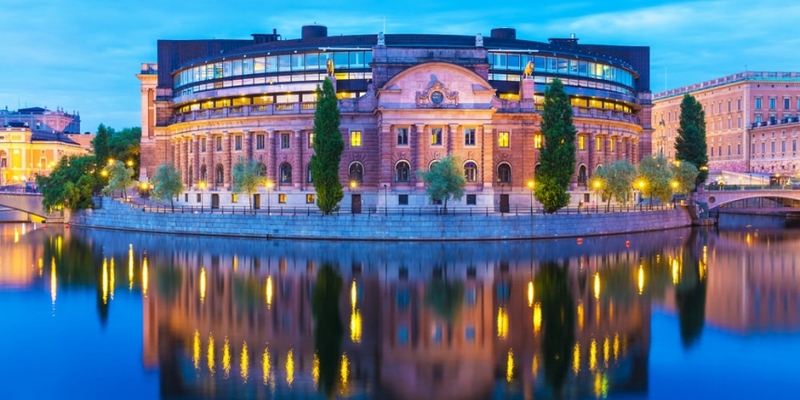 Digital currencies have many promises in store for the future, and I think the Swedish government should think carefully before placing such restrictions on this technology,” Fors said. Despite differences in how regulation could take shape in Finland and Sweden, the Nordic nations do have a commonality: They agree that bitcoin should not be treated as a currency. In December, Norway’s director general of taxation stated that bitcoin does not “fall under the usual definition of money or currency“. Finland went one step further, suggesting that in addition to failing the definition of a currency, bitcoin does not qualify as a payment instrument under Finnish law. The decision could also impact ongoing discussions in major markets like the United States and United Kingdom, which have still yet to declare how bitcoin will be taxed. Since 2006, Sweden has seen steady economic growth after decades of economic struggles. As such, it has emerged as a country with what some consider is a proven model for steady economic growth at a time when other nations are struggling with debt and unemployment.